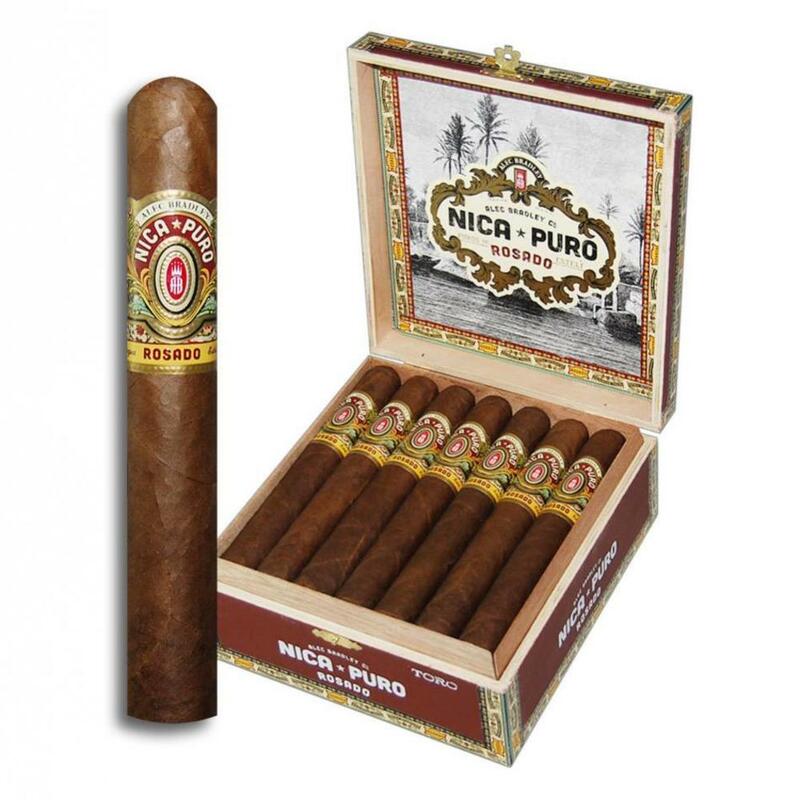 Nica Puro Rosado is the next step forward for the highly rated Nica Puro blend. Coming sheathed in a golden Rosado Nicaraguan wrapper around Nicaraguan double binders and long-leaf filler from the three Nicaraguan growing regions of Esteli, Jalapa, and Condega, this medium to full-bodied gem is perfect for both the novice and seasoned palate. Notes of nuts, chocolate, leather, and spice will have you returning to this blend time and time again. Nicaragua makes some of the most fantastic, flavorful, and forceful tobacco that you could ever hope to find and enjoy on this planet. Something about the soil seems to grow tobacco that is more likely to have some spice to it, whether it is overstated or not, and the cigars are a treat. As for Alec Bradley, they started out as a small boutique cigar maker, and have quickly grown into a sizeable brand that need consideration when you come across one of their products. They had a string of hits, scoring in the 90s with reviewers, and they even managed to get a 96 in 2011 with their Prensado, which would go on to be the cigar of the year, and is still a very sought-after box-pressed cigar. So what is the Nica Puro Rosado, and what makes it worth that buy at your favorite online cigar shop or in your favorite humidor? As the name would suggest, it’s pure Nicaragua. Presenting a medium-bodied profile thanks to the calm fermentation of the tobaccos, the wrapper is a beautiful and dark, oily Rosado wrapper. The tobacco is extensively fermented Nicaraguan tobacco, and the combination creates a wondrous cigar, one that gives off notes of cashew and cocoa when you smoke it. A cigar that is affordable and wondrous in its flavor, and definitely one that you are going to want to smoke again and again, do yourself a favor and try one today.